Home Page - Preferred Metal Products, Inc. The Trumpf 3030 4000 watt laser answers your needs for a high performance end product with cut quality that is second to none. 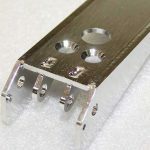 Creating extremely smooth cutting edges and can cut mild steel up to 1” thick, stainless steel up to .625” thick and aluminum up to ½ “ thick. It can cut thin gauge material at up to 500 inches per minute, while holding to tolerances of +/- .003. We can also perform part marking with the Trumpf 3030 using low wattage. 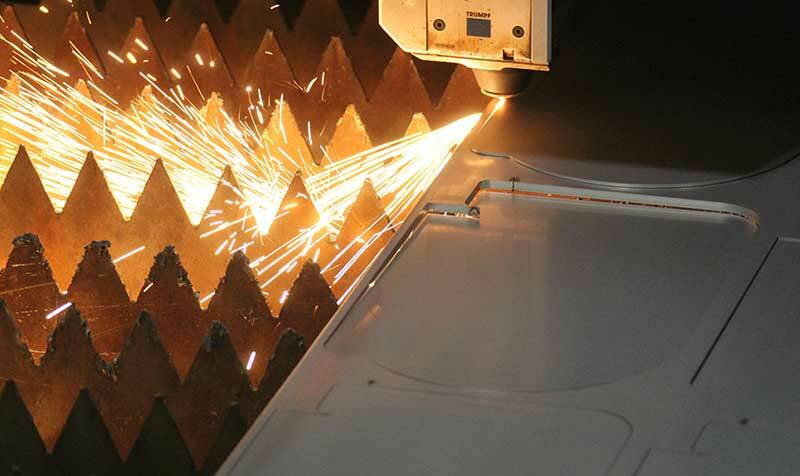 The advantage of our precision laser cutting is the finished product generally does not require post-processing. Our Trumpf 2020R Punch Press combines high speed and precise accuracy to provide our customers with high quality parts in the fastest time possible. Fast part production requires not only a quick machine, but also minimal setup time. This is achieved because of tool cartridges easily placed in the machine. Therefore tool change is completed in less than half the time of a standard turret. Every tool on the 19 station rail is fully rotational, 360 deg. 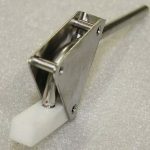 Punching rates of up to 7 holes per second on one inch centers and nibbling rates of 900 hits per minute on a 50˝ x 100˝ sheet reduces production time and cost. In addition to standard punching, our Trumpf 2020R is also capable of high-speed marking, forming, and logo stamping. Speeds up 420 holes per minute. Nibbling speeds up to 920 strokes per minute. High speed marking at 2200 strokes per minute. 360 degree rotation of all tools. For short runs Preferred Metal Product shop includes a 50 ton W.A. Whitney single station manual punch with programmable gauging. With a maximum capacity: 5″ diameter through 7 gauge mild steel. 1 1/2″ diameter through 3/8″ mild steel. Punching Flat Bars and Angles. Both of our pressbrakes feature a fully programmable multi-axis back gauges. 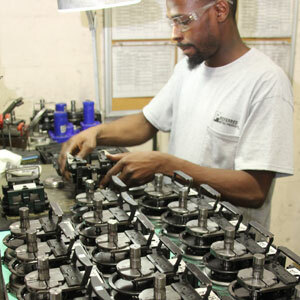 We use the state of the art technology to ensure the highest accuracy with every bend. With the over 2′ of open height, we can form very deep boxes to meet your requirements. 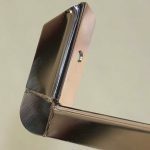 If you have parts with bends that require tight angle tolerances, our angle sensing technology will give what you need every time within a ¼ of a degree. 60 ton 6′ Accurpress pressbrake with (ETS 3000) backgauge. Wila hydraulic clamping system with Wila precision tooling. Our highly qualified welding department is certified by the American Welding Society. Our Computer Numerical Control (CNC) Milling system is ready for your project needs and meet the tolerances required. 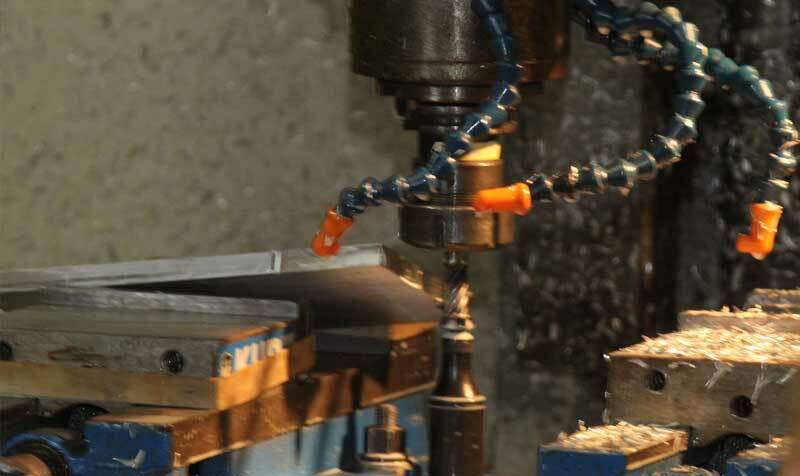 The CNC Milling system can accommodate production runs. 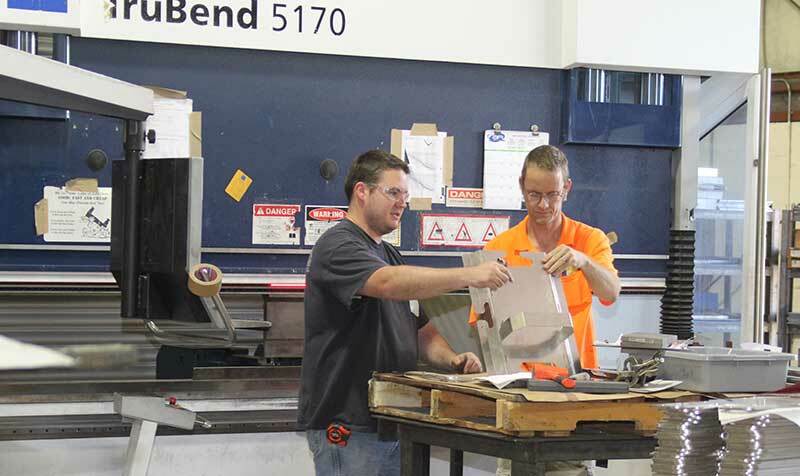 In addition to the CNC milling, Preferred Metal Products has a complete shop of metal working equipment, cutoff saws and drill presses. 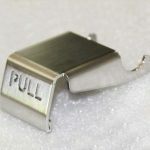 Finally with the skillful operation we are able to build parts under the highest quality standards well suited for all of your production runs. The Wysong Shear can handle .25˝ x 12 ft. capacity and meet most production needs and most metals including; aluminum, brass, bronze, mild steel and stainless. The PC-100 back gauge and the auto front gauge can handle any size parts to a plus or minus .032 tolerance. Sheets thinner than .0625˝ can be sheared faster through a design feature that allows the hydraulics to bypass one cylinder. This increases speeds to approx. 45 strokes per minute. Contact Preferred Metal Products your project needs. Whether you have complete CAD drawings, a sketch, or just an idea. 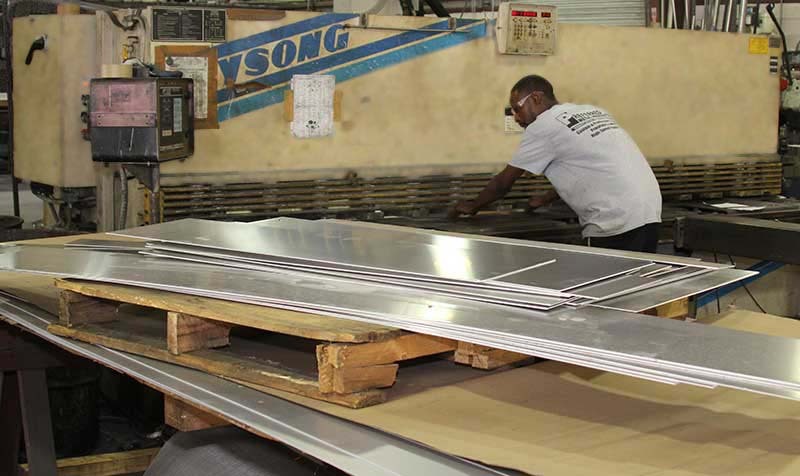 Preferred Metal Products has the capabilities to develop any plans into a reality. 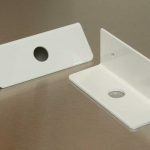 We work closely with customers to create practical prototyping applications and pride ourselves on customer excellence and a quality product. With state of the art equipment you can choose from wide variety gauges of steel, aluminum, and stainless steel parts to cut and form. 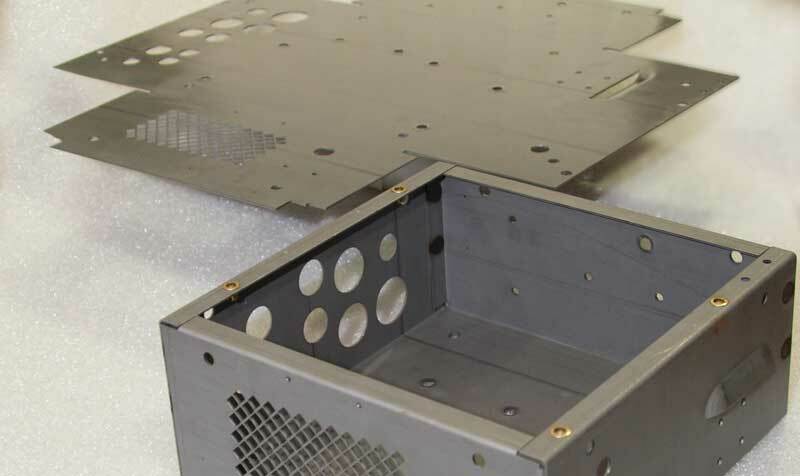 Enclosures of all sizes for a large number of applications are produced using technology and our capabilities. 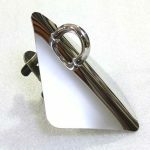 Finishing services like electropolishing, powder coating or speciality finishes for your final product can be provided. Contact Preferred Metal Products today, for estimates on all of your project needs. 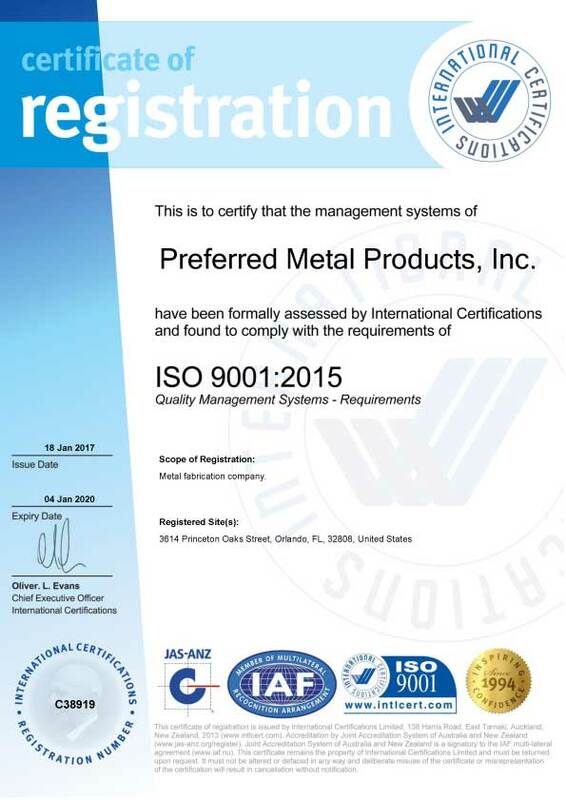 Preferred Metal Products, Inc. has experience in manufacture of metal parts and components using a wide variety of materials including stainless, aluminum, steel and a wide range of alloy metals.